MANHATTAN (CN) – “The Light Between Oceans” barely flickered at the box office, but an American writer says the film and the book on which it was based ripped off his original screenplay. 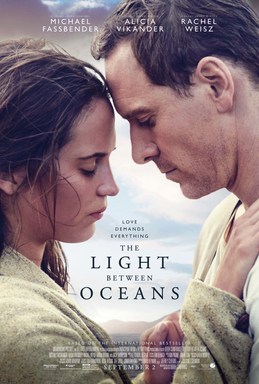 Adapted for the silver screen last year, from a 2012 book with the same title, “The Light Between Oceans” is a romantic period drama about a childless couple who reach a moral crossroads when a rowboat containing a newborn baby and a dead man washes ashore. Michael Fassbender stars in the film, which made roughly $24 million on a $20 million budget. Joseph Nobile, of New Jersey, hit the filmmakers and author Margot Louise Watts with a copyright complaint on Jan. 26, telling a federal judge in Manhattan that the story is the same as a screenplay he’s been working on for at least a decade. Ironically, the writer Nobile accuses of stealing his screenplay is a former intellectual-property lawyer. The complaint notes that Watts, who published her book under the penname M.L. Stedman, worked in-house for Diageo, one of the world’s biggest alcohol manufacturers, to pursue writing. While studying creative writing at Birkbeck College, University of London, according to the complaint, one of Watts’ instructors was Jeremy Sheldon, a script reader for Miramax and Working Title. Watts is famously secretive of her background, Nobile notes, but he says that she has let slip that she hired a writing coach and went on a creative-writing vacation in Greece. “Sheldon ran creative writing vacations in Greece in that same time period,” the complaint states. “This inference is further strengthened by Watts’ evasive and secretive behavior, notable for a first-time author of an acclaimed novel,” the complaint states. Citing the similarities between his story and Watts’, Nobile notes that are that both involve “desperate childless couple longing for a baby” on remote storm-swept islands. Nobile set his story on an island off the coast of Ireland, but Australian-born Watts put her characters in a lighthouse island off the coast of Australia. The couples in both stories had suffered multiple stillbirths, and the wives are still lactating when “destiny” intervenes. Whereas the child in Watts’ story washes ashore in a boat with a dead man, her father, Nobile has the mother die in labor after her boat washes ashore. Though the complaint says Watts’ book sold more than 23 million copies, a spokesman for publishing house Simon & Schuster said the number was closer to 2.3 million. In addition to Watts and her publishers, Nobile’s complaint takes aim at the Walt Disney Co., a DreamWorks subsidiary and Amblin Partners. Though the lawsuit paints a nefarious view of Watts shying away from publicity, she talked about striking a chord with readers in a 2012 interview with Goodreads. “The story was universal — readers from pretty much any culture or county could engage with the issues it raised,” she said. In that interview Watts talked about how she began writing her story after she “closed her eyes and saw a lighthouse.” She said she read through old logbooks in the Australian National Archives and visited lighthouses for further inspiration. Representatives for Disney and Simon & Schuster have not returned a request for comment. A representative for DreamWorks II Development Co. — which has since ceased its business distribution relationship with Disney — could not be immediately located for comment.